get the right plan to suite your business! Have you checked out our Fresh Email? Fresh Email is our 100% Australian Based, owned and operated Hosted Microsoft Exchange platform. Just like Office 365, however we have 100% control over it and it helps your business meet the new Privacy requirements imposed on March 12th 2014. The new privacy rules are based around the how you must disclose to you customers, users, and general people you deal with where your store their information. If you are unsure about your requires, please call Fresh Look IT on 1300 761 587 and we can help you. Fresh Look IT is a proud Microsoft partner and we can provide you access to all the Microsoft Office 365 plans. Since Fresh Look IT is based right here in Perth, using our FreshCare Support Team we can provide you local Office 365 support! Need Microsoft Office 365 Backup? Didn’t know Office 365 does not include backup? A Microsoft Guaranteed 99.9% uptime, financially backed service level agreement with Microsoft Directly. Many small and medium-sized companies outsource some or all of their IT infrastructure so they can concentrate exclusively on their core business. Fresh Look IT is one of those companies you can outsource to. Is your company facing strong pressure to cut costs and innovate but you definitely want to continue benefiting from reliable, state-of-the-art IT solutions? If so, we recommend you take a closer look at cloud computing by Fresh Look IT. Cloud computing is the new way to utilise IT resources flexibly and according to your needs, all through centralized data centers. You can obtain the scope of high-availability software and services you want from Fresh Look IT over the Internet. Including product such as Office 365 by Microsoft or Fresh Email. In 2011, Microsoft introduced Office 365, the second* generation of its cloud computing services. Office 365 brings together the cost benefits of optimised, modern server infrastructure and the familiar Microsoft Office productivity environment, for example letting you use the latest version of Microsoft Exchange Server without having to buy or administer a server. Usage is billed on a user basis. You only pay for what you actually use, giving you flexible control over your costs. This can be especially useful if you work on a per-project basis, experience seasonal fluctuations in your workload or the number of employees changes. Office 365 also greatly simplifies collaboration and exchange with external participants in projects. This reduces the hassle of setting up individual access privileges to your infrastructure. Office 365 can be deployed immediately with the dedicated local support by the FreshCare Team, and it is of course compatible with popular Microsoft programs. Your employees don’t need any special training, saving valuable working time that you can invest more productively. The services can operate either in mixed mode with your own servers or stand-alone. Data within the services is archived by default. You always use the latest version, automatically and without having to deal with updates. You can significantly reduce your IT expenditures because there is no upfront investment or major effort involved in running your own IT operations (servers, electricity and staff) once you have migrated to the cloud by the FreshCare Support Team. Microsoft provides 99.9% availability while guaranteeing the highest possible standard of security. Support is provided by your Perth local support team FreshCare. You can deploy individual programs from Microsoft Office 365 exactly according to your needs and integrate them with your own servers. You decide which applications run locally and which are accessed through hosted services. Microsoft Exchange Online provides secure access to e-mail, calendar, contacts and tasks in a familiar environment through PCs, mobile devices and browsers over the Internet. The reliable, powerful and familiar functions of Microsoft Exchange Server are available as cloud-based services. Provisioning IT services through the cloud also considerably simplifies IT administration, and data is better protected with enhanced security and reliability features. With Office 365 Profession Plus (Only available in the Office 365 ProPlus Plan) your employees get powerful tools for their work regardless of location and whether they’re using a PC, a mobile device or a Web browser. 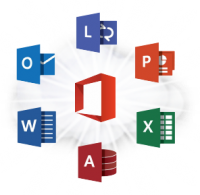 Office Professional Plus with Office 365 provides a comprehensive, intuitive application environment for continuous online connectivity with your company. SharePoint Online gives you a central access point in the cloud where your employees can exchange ideas and expertise with team members, develop customized Web sites for team or project work, use resources across the company and find important information more quickly. They also have the ability to invite external users to collaborate on your internal or extranet Web sites. Lync Online offers your employees modern communication features such as presence information, instant messaging and live video meetings on their PCs. These professional communication capabilities let your employees work more productively and make your business more efficient. With the powerful combination of presence information and instant messaging, you can react to business processes much more flexibly.